The view and atmosphere in the apartment were excellent! Enjoyed it very much! Everything was just perfect ! Thank you to all the staff for their kindness and advice. We really enjoyed the whole environment; that it'd be the apartment or the location with the fields and the forest around. We will surely come back to spend more peaceful moments ! It was clean and quiet. It was a great place to explore texel from. We stayed in the new section and wow the bathroom was huge!! Also a nice outdoor terrace from the ground level. Cute little apartment perfectly located on the edge of the forest, we had everything we needed and the hired bicycles were excellent. Can't complain about anything. There is enough space on the parking, nice forest to walk nearby. Beach is reachable by bike or car. Excellent Location and Staff, Nice breakfast and nice Texel Tap Beer. Taste is different when yo drink bottle Texel beer. so recommend to drink from tap. Wel equipped apartment comfy, clean and tidy. Warm and cosy on a windy may break. Restaurant looked great menu but we wanted to be out on our bikes. Would eat there if we had more time. 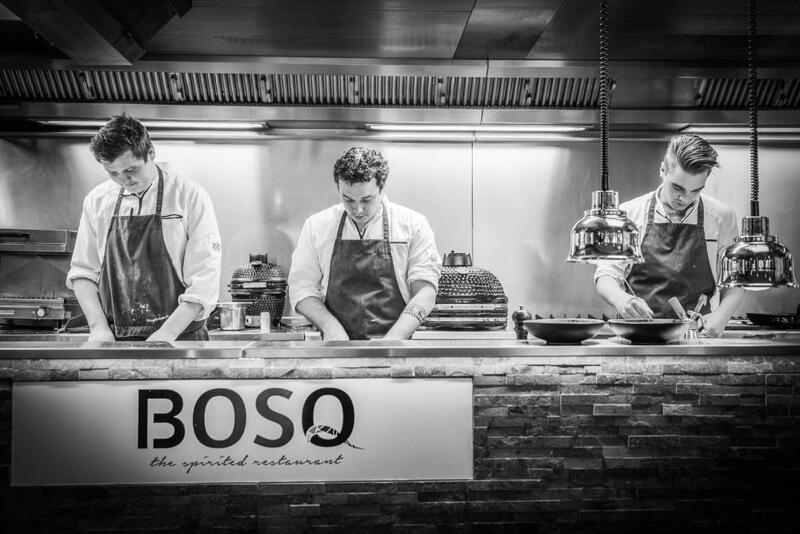 Lock in a great price for Aparthotel Bos en Duin Texel – rated 8.4 by recent guests! 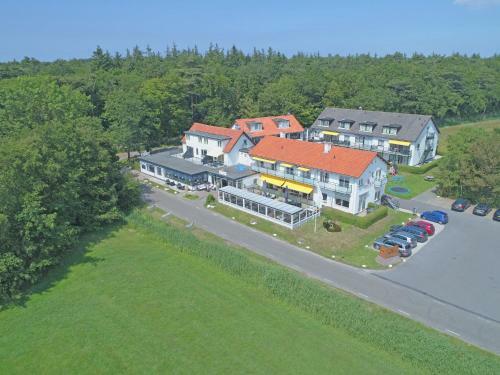 Aparthotel Bos en Duin Texel This rating is a reflection of how the property compares to the industry standard when it comes to price, facilities and services available. It's based on a self-evaluation by the property. Use this rating to help choose your stay! Located along Dunes of Texel National Park, Aparthotel Bos en Duin Texel is set in Den Hoorn. It offers free WiFi, a terrace and a children's playground. 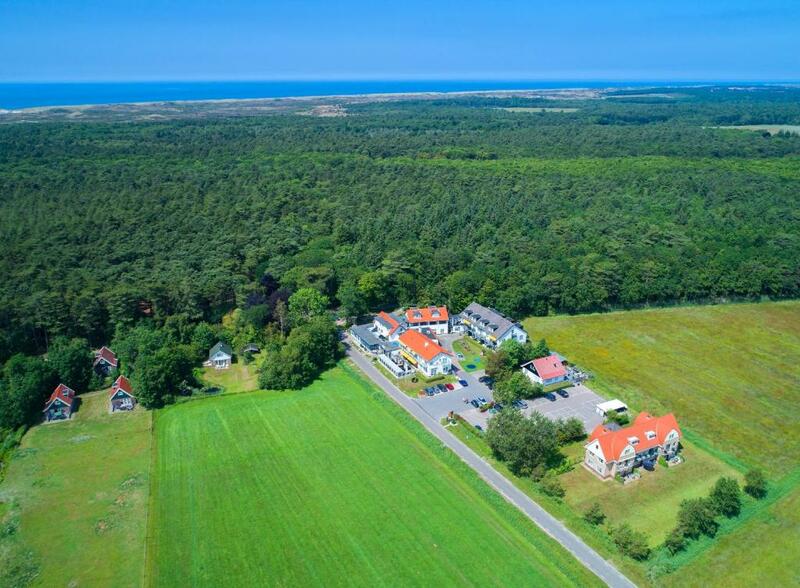 The beach is 1.4 mi away, while villages Den Burg and Den Hoorn are within 1.9 mi. All fully furnished apartments feature a seating area and some benefit from a balcony. There is also a kitchen fitted with a microwave, refrigerator and kettle. Each unit is equipped with a private bathroom including a shower, toilet and hairdryer. The beds will be made prior to arrival. Guests can start the day with buffet-style breakfast or enjoy a meal at the on-site restaurant. Pets are allowed in some units. The area is popular for hiking, cycling and horse riding. The nearest airport is Schiphol Airport, 52 mi from Aparthotel Bos en Duin Texel. When would you like to stay at Aparthotel Bos en Duin Texel? This multi-level apartment has an open-plan living and kitchen area. Its bathroom has a shower. The bedroom is fitted with box-spring beds and is accessible by a staircase. Please note that beds are made on arrival and bed linen are included in the rate. A cleaning service and kitchen utensils are included. Please note that pets cannot be accommodated in this room type. Towels are available for a surcharge or guests can bring their own. This 2-bedroom apartment has an open-plan living and kitchen area. Its bedrooms are fitted with box-spring beds and the bathroom has a shower. This apartment is located on the 2nd floor and can be reached by stairs. Please note that pets cannot be accommodated. This apartment is located on the ground floor or on the first floor and has a balcony. There is an open-plan living and kitchen area. The bedroom is fitted with box-spring beds and the bathroom has a shower. It is allowed to accommodate 1 dog in this unit, for a surcharge of EUR 6,75 per night. This has to be requested in advance and must be confirmed by the owner. This 2-bedroom apartment is located on the ground or first floor and it has a balcony or terrace. There is an open-plan living and kitchen area. It also has a bathroom with a shower. This apartment is located on the ground floor or on the first floor. There is an open-plan living and kitchen area. It also has a bathroom with a shower. The separate bedroom has a box-spring bed. Please note that this room is located on either the ground, first or second floor. Please contact the accommodations if you have a preference for a certain room type. This 2-room apartment has an open-plan living and kitchen area. The bathroom has a shower. 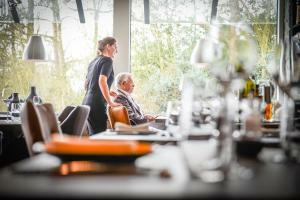 House Rules Aparthotel Bos en Duin Texel takes special requests – add in the next step! ATM card Aparthotel Bos en Duin Texel accepts these cards and reserves the right to temporarily hold an amount prior to arrival. 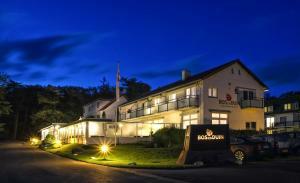 If you expect to check in after 17:00 you are kindly requested to contact the hotel by phone. Bed linen for baby cots is not included in the price. Please note that towels can be rented at the property for EUR 4,25 per set. Guests can also bring their own. Please note that there is no elevator in this building. Please contact the accommodations if you have a preference for a certain room type that is on the ground floor. Please note that there is no daily cleaning available at this property. Please note that guests are required to contact the accommodations prior to arrival if they would like to bring a pet. A maximum of 1 pet per apartment is allowed. A surcharge of EUR 6.50 per pet per night applies. No hand soap, nor detergent to clean dishes with. Price. There is a big gap between the value and the price. Possibility to rent bikes. Stuff was nice. Very basic. No bath only shower. Not shower base so bathroom got wet which is a bit of a pain if you have to clean up after each person shower when you're on holiday. English speaking traveler may find it confusing that all descriptions are in Dutch or German. Entrance to appartment was tight with many doors to bathroom, bedroom and main lounge. Consider to replace lounge door and bedroom door with sliding doors.